Why should there be public funding for the arts? What role does cultural participation play in people’s lives? There has been an ongoing policy debate about the value of the arts to society which asks what kinds of returns policy makers should expect from public investment in arts and culture. 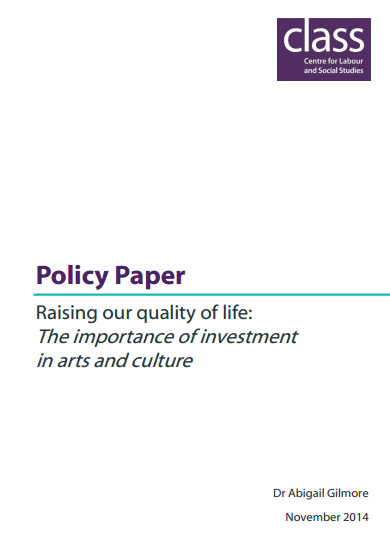 ‘Raising our quality of life: the importance of investment in arts and culture’, explores how we have reached a position whereby policy makers define their interest primarily in terms of economic value and instrumental policy objectives, rather than their broader role in improving ‘quality of life’. It was commissioned by the Centre for Labour and Social Studies (CLASS), a left of centre think tank interested in stimulating policy debate. Examining the recent history of cultural policy in the UK, the paper argues there is plenty of evidence for the value of arts and culture to people’s lives – but much of it is misdirected or obscured beneath an economic cipher. As research on culture and wellbeing suggests, quality of life is not solely predicated on economic wealth but in the access to cultural resources which help people make their lives. To make it easier for Treasury to understand and measure this on its own terms, some research suggest an economic proxy for this impact. But despite this intensive quest to produce the right kinds of evidence, heightened in the context of austerity, the paper argues that a better case might be made by returning to arguments which emphasise the qualitative aspects and affects which engagement with arts and culture bring to our everyday lives. It also proposes that a case for arts funding based on ‘quality of life’ should be accompanied by a number of qualifications, proposing particular kinds of investment and policy. Rather than focusing on the arts institution, it should help to ‘plan in’ cultural democracy by supporting flexible community spaces such as community centres, libraries, parks and pavilions, providing local access to resources for arts and cultural production and education. These spaces should be within communities and their programmes should be co-produced with communities. Arts funding should be locally sensitive, but equally distributed, ensuring no disadvantage of geography. As recent studies have demonstrated there are highly varied patterns of mainstream arts funding across England with an overwhelming bias towards London and the South East, with disproportionate focus on arts organisations who deliver traditional ‘high art’ forms in receipt of both Lottery and grant-in-aid funds. And the role of local authorities as brokers and enablers should be strengthened, supporting community cultural development and assets management, ring-fencing and guiding resource allocation and commissioning in partnership with third sector organisations, not weakened as is currently the case under the old service delivery model, broken by ongoing rounds of budget cuts (this infrastructure is already being established across the country through culture and leisure trusts, but is usually considered as a way of making efficiency savings rather than a focus for arts investment). These arguments are grounded in a concern for a more inclusive understanding of lived experience of cultural participation. According to the latest release from national cultural participation survey, Taking Part, 77 per cent of adults attended or participated in the arts some point during 2012/13, a similar rate to the first full year of the survey in 2005/6. Without additional information this statistic tells us little: it doesn’t tell us what kinds of arts are preferred, or how this participation may contribute particular values and effects. 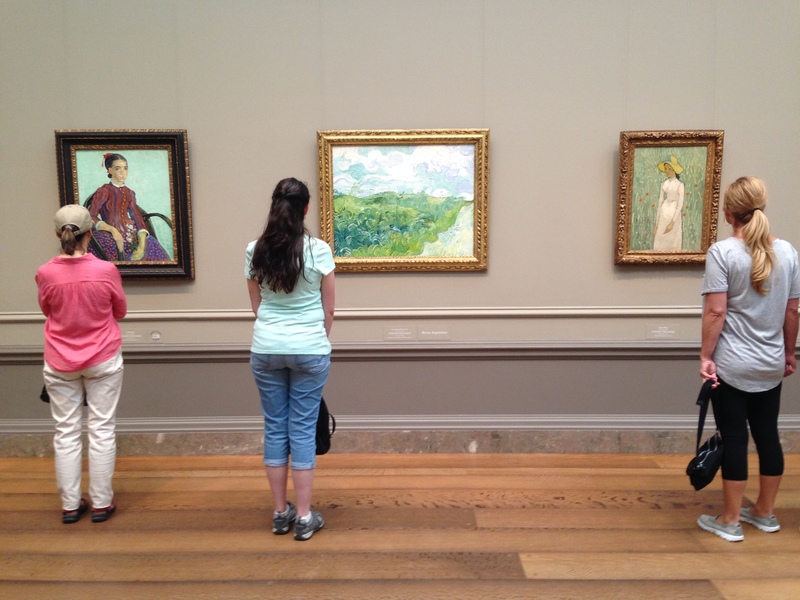 Moreover it suggests nearly a quarter of the adult population have no contact with the arts. A recent Eurobarometer survey of 27 European Union member states finds that the most common form of participation is watching or listening to a cultural programme on TV or radio (72 per cent) with the next most common activity is reading a book (68 per cent). 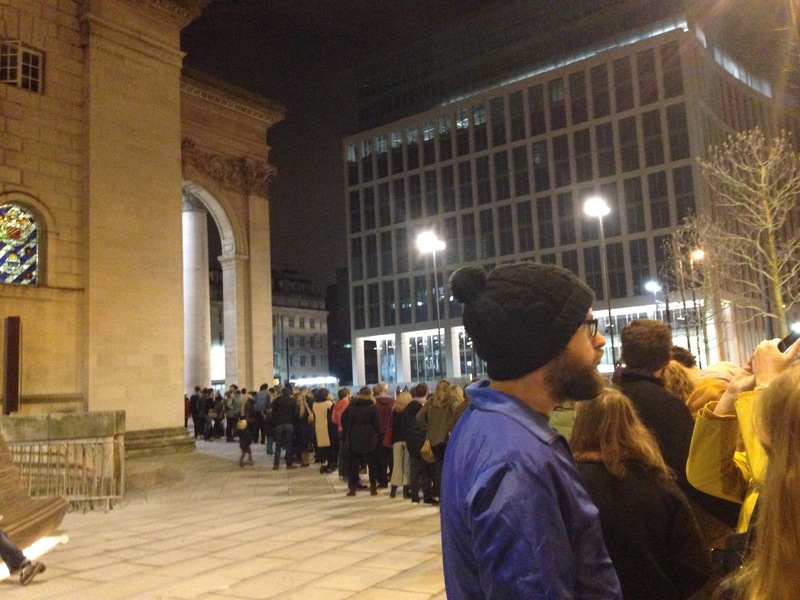 The least popular activity was going to see a ballet, dance performance or opera, with just 18 per cent. Understanding Everyday Participation has been looking at participation in different ways to standard cultural participation surveys, using its mixed methods empirical approaches in the six case study sites. Whilst some of these areas are defined by official statistics as areas of low engagement, the research finds evidence of highly engaged communities, participating in craft, music making, online gaming, social media, playing sports, walking and watching films. These narratives of participation rarely involve formal arts institutions, instead identifying community assets such as social clubs, parks, voluntary groups, the family, the home, as well as networks of friends and associates developed through work, religion and recreation. The findings suggest the need for different kinds of cultural policy, which intersect with the everyday lives of communities and recognise the arts as part of a more complex cultural ecology. The research is identifying challenges for local authorities in these areas and helping them develop cultural strategies which work with what Raymond Williams (1965) calls local ‘structures of feeling’. The policy paper hopes to reflect this interest in making a case which is empirically grounded, which highlights how participation in arts and culture is more valuable to people when understood on their own terms, and is not, following Belfiore (2012), merely another case of defensive instrumentalism. All photographs c/o the author.